Hundreds of TCU/IAM members came together this week for the 34th Regular TCU/IAM Convention, marking the 115th anniversary of TCU. 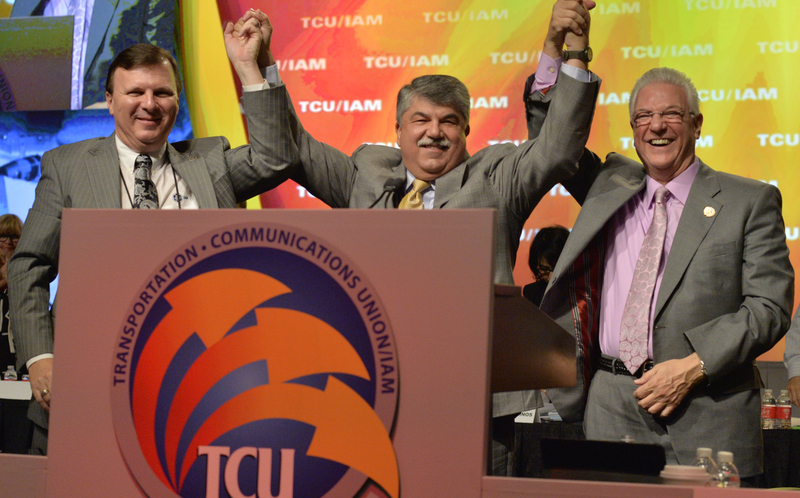 In a stirring and passionate address to delegates, TCU President Bob Scardelletti inspired the room with his view of not only the current state of this great union, but the future as well. His topics included the Carmen Convention’s unity, the strong quality of TCU/IAM representatives and the importance of education to the future of TCU/IAM. “I am extremely proud that our Carmen Division has showed such strength and unity again,” said Scardelletti. 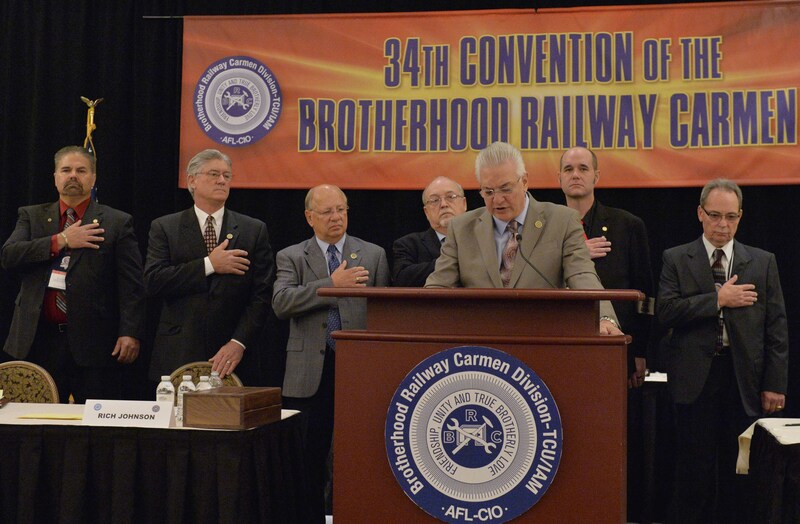 Scardelletti singled out the strong representation that National Officers and Long Island Local Chairmen gave in achieving the agreement and avoiding a strike on the Long Island Rail Road. Scardelletti says training of local representatives, the cornerstone of his presidency, will continue at the William W. Winpisinger Education and Technology Center. The delegates were asked to consider a resolution to increase the amount that will go into the education fund. 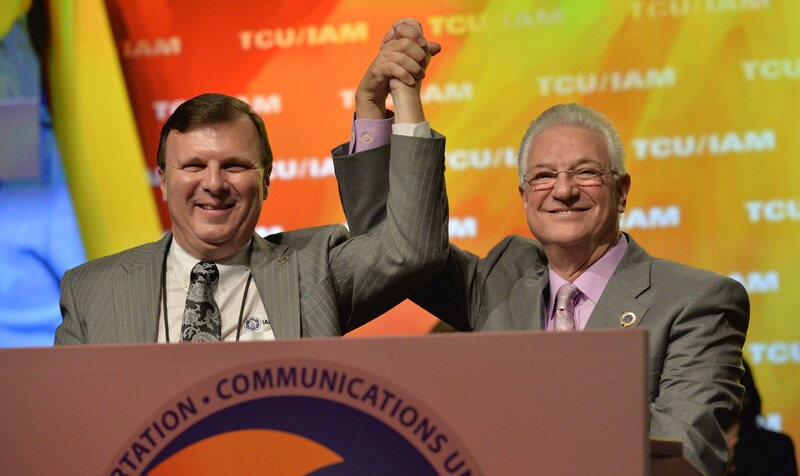 IAM International President Tom Buffenbarger spoke to the delegates and explained how much the entire IAM Executive Council appreciated TCU in the recent IAM Election. 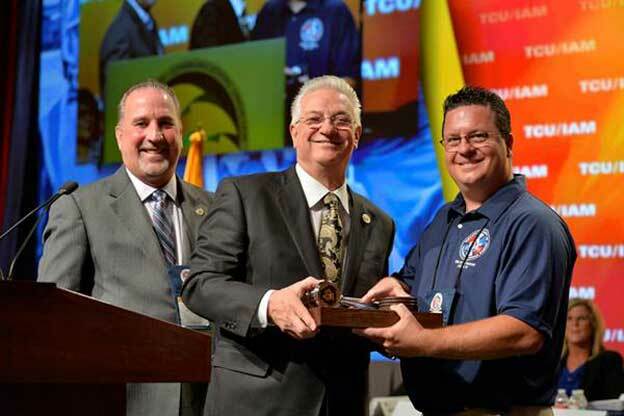 President Scardelletti was presented a stainless steel gavel made by IAM members, which represented TCU/IAM being a full and welcome part of the IAM. As TCU celebrates its 115th anniversary, a bold new beginning was taking shape on the convention floor. Every national officer was re-elected by acclamation. AFL-CIO President Rich Trumka congratulated all the officers and delegates and thanked them for the important work they are doing. 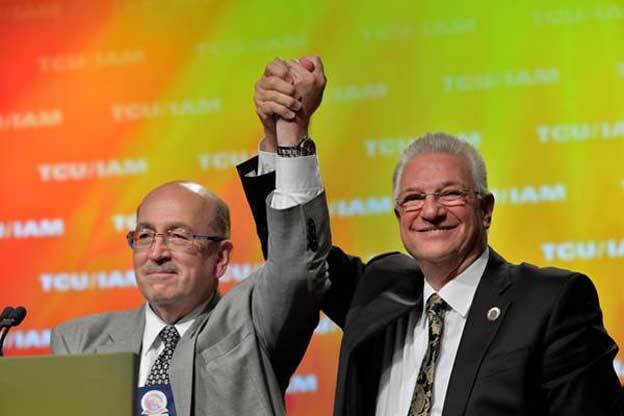 In a show of strength and unity in the Carmen Division, Scardelletti nominated Carmen Division General President Rich Johnson to another term. In true unity and solidarity, Johnson and Assistant General President Carl Tingle were elected unopposed by acclamation. Every Carmen Division General officer was returned to office by acclamation.